SWAN Plumbing, Heating & Air provides professional, top-quality services to homeowners throughout the Greenwood Village, CO area. With nearly 50 years of experience offering first-class home comfort solutions, our expert plumbing, heating, and cooling professionals are in a class of their own and take great pride in providing the best service possible. From installing brand new HVAC units to repairing water lines and fixing leaking faucets, we have the skills and experience to not only get the job done, but get it done right. So, give us us a call today and join the thousands of happy homeowners who rely upon SWAN for all of their Greenwood Village homes' plumbing, air conditioning, and heating needs. Or, click here to schedule your Greenwood Village plumbing or HVAC service online. 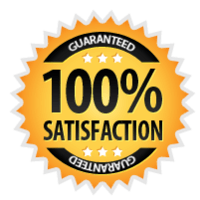 Unlike many of the less established Greenwood Village plumbing and HVAC companies, we at SWAN stand by our work and provide an industry-leading 100% satisfaction guarantee. That’s right. We’re proud of our work and fully back each and every plumbing, heating, and cooling service performed by our expert Greenwood Village plumbing and HVAC technicians. From simple repairs to complex installations, our guarantee applies to every job big and small. With affordable up-front pricing as well, we’re the folks to call for all of your plumbing, heating, and cooling needs. Greenwood Village is a beautiful town in a picturesque state, but the winter season is certainly no stranger to snowy conditions and freezing temps. Let’s face it; in an environment like Colorado, a properly functioning heating system is critical. At SWAN Plumbing, Heating & Air, our certified highly-skilled technicians have years of experience repairing and installing a wide variety of heating systems and solutions. Not only will we utilize our extensive knowledge and experience to help you determine the best heating solution for your Greenwood Village home, but we maintain and repair existing systems as well. This makes us the go-to resource for homeowners across the county in need of quality heating services. If you want to stay warm and comfortable during the freezing winter months, give us a call today! You can’t live comfortably in Colorado without a properly functioning furnace. Unfortunately, like everything else, furnaces don’t last forever and begin needing repairs over time. To maximize the life of your furnace and stave off costly repairs, you should have an expert like SWAN Plumbing, Heating & Air take care of your furnace install and regularly maintain it for optimal heating performance. Our expert HVAC and furnace technicians are available around the clock for emergency repairs and can accommodate your busy schedule for regular maintenance appointments. We have installed and repaired thousands of furnaces across the greater Greenwood Village area and have the professional expertise needed to keep your furnace running like new for endless winters to come. Don’t ignore the warning signs. Let our heating professionals inspect your home’s furnace today and make sure it’s ready for next November. Furnaces are popular options for many of today’s homeowners, but we repair and install plenty of boiler systems as well. Rather than using forced air like a furnace, boiler systems heat your home via hot steam or water. While boiler systems are more reliable than furnaces and require less maintenance, they also require extensive piping. Fortunately, we also happen to be expert plumbers, making us the perfect people for the job! In addition to all of these services, we also specialize in water heater installation and repair. So, whether you need hot water or hot air, don’t hesitate to call us today for all of your home heating needs! Like everything else, plumbing breaks down and needs repaired or replaced from time to time. Fortunately for Greenwood Village residents, the master plumbers at SWAN Plumbing, Heating & Air are some of the best in the business and can solve any and all plumbing-related issues. Our professional master plumbers are available day or night 7 days a week, so give us a call to schedule a visit today! When most people envision our breathtaking state, images of snow-covered mountains usually come to mind. However, it can get darn hot here in the summer months, making a properly functioning air conditioner a necessity for most. Providing all of Greenwood Village and the surrounding areas with the very best air conditioning services, SWAN Plumbing, Heating & Air has been keeping the area’s residents cool and comfortable for over 40 years. We understand the torture of living in a hit home in July, so we’re always on call and standing by to tackle any air conditioning repair emergency. We also understand how important proper air conditioning maintenance is for maximizing energy-efficiency and preventing costly repairs. When you contact us for an AC inspection and maintenance service, we check the entire system to make sure it is running perfectly. In doing so, we also clean out sediment, replace worn-out parts, and make any necessary small repairs to keep it working like new. Our expert air conditioning technicians are also the ones to call for air conditioner replacements and new installations. We have thousands of satisfied clients and have installed countless AC systems over the last 50 years. Whether you’re old AC system is on its last leg or you simply want to upgrade to a larger or more energy-efficient model, we’ll have a new system in place and working like a dream in no time at all.